Disc Thickener mainly used to wash and thicken for low consistency slurry.Using Disc Thickener not only make the fiber recover from white water, but also it can be used in a closed loop. 1. The combined disc type fitter drum of Disc Thickener increases the filter area greatly.And the Thickener has less space requirement, but large production capacity. 2. The Thickener adopts stainless steel filter screen,which makes the Disc Thickener a long service life. 3. The Thickener has reasonable structure for pulp cleaning and stripping, and the filter screen of Thickener is not easy to block, the dewatering capacity is excellent. 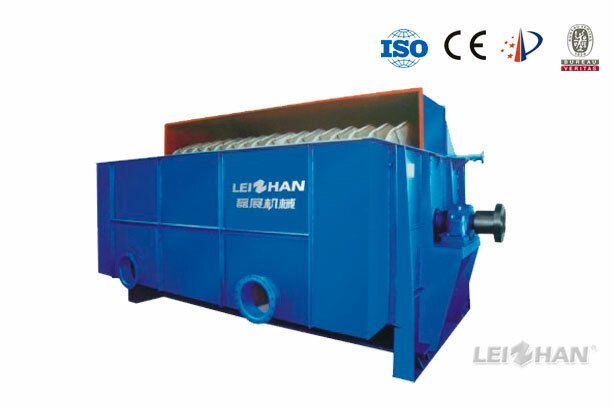 Need the Disc Thickener for Paper Pulper Making Line, Contact With Us as Quickly as Possible.